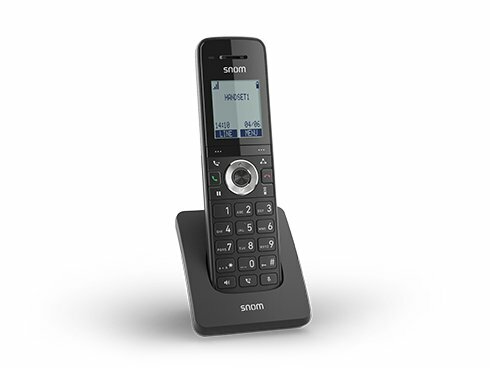 The Snom M15 SC is a high performance cordless DECT VoIP phone to be used with single-cell bases. 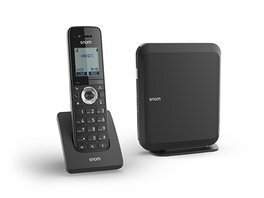 This modern DECT telephone is easy to use and perfect for everyday business needs. With a wide 1.7’’ panoramic display, illuminated keypad and excellent voice transmission, the Snom M15 SC is a hardworking device with numerous functions.In addition, a practical belt clip makes it easy to take the M15 anywhere with you. A set of powerful batteries ensure up to 7 hours of talk time and up to a week on stand-by so you never miss a call. The M15 SC is the perfect choice for thesmall office/ home office: both in the office and at home the Snom M15 SC meets all the requirements of the modern day working environment. With the M200 SC base which can be connected to up to six M15 SC phones it is possible to make up to four phone calls at the same time. This perfect combination provides maximum productivity at an excellent price.